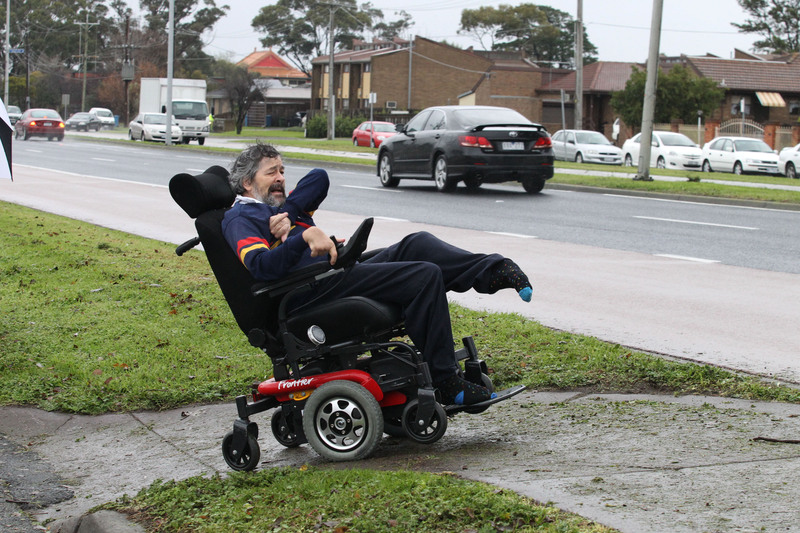 DISABLED residents are driving their chairs across a 500-metre footpath obstacle course, including free-wheeling among Springvale Road traffic, to reach a medical centre directly across the road. 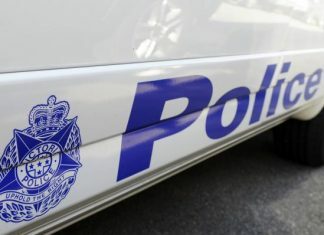 Rhonda and Barry, two of the residents of AUDA House, have been skittled on the way, knocked down by turning cars while crossing a controlled intersection at Athol and Springvale roads. Barry has also been stranded on the crossing; his wheels jammed between one of several raised median strip lips and the tarmac. CLICK HERE for our picture gallery as residents and Cr Sean O’Reilly attempt the crossing. The residents have pleaded for 10 years to VicRoads and Greater Dandenong Council for a controlled crossing connecting their house and the Hoa Nghiem temple next door to the medical clinic at 525 Springvale Road. Each week, at least one of the household members visits the clinic via the perilous route. Outside of the crossing, the journey includes numerous footpath hazards: raised edges, an uneven pit cover, steep gutter ramps and cambered paths. Gerry, another resident, had his hips and a femur removed after being struck by a car in St James Avenue, Springvale. “Some drivers get their licence out of a Weet-Bix packet,” he said. As a shortcut, he scoots across six lanes of Springvale Road traffic before getting to the Athol Road crossing, racing up a bus lane into traffic for 20 metres to reach a service lane across the road. Resident Ian drives his electric wheelchair out onto Springvale Road to avoid an uneven footpath section that causes his chair to “bottom out”. He claims VicRoads told him there needed to be “an amount of accidents” before it would act. “Do you have to be killed?” Gerry wondered. On an earlier section of the trip, he was nearly hit by cars in both driveways leading into the Hoa Nghiem temple, which is expected to attract more traffic when its expansion is complete. On other sections, the residents drive along the service lane roads to avoid the hazardous footpaths. Last Monday, Cr Sean O’Reilly called on the council to lobby VicRoads on residents’ behalf. After taking a tour in an electric wheelchair last Thursday, Cr O’Reilly said: “It makes sense — not only with these residents but with the Cambodian temple redevelopment as well — that we need a crossing at this point. VicRoads has increased the pedestrian signal delay to allow more time for residents to cross the Athol Road intersection. Acting regional director Michael Barker said the intersection was Disability Discrimination Act-compliant.He said there were “no plans to modify the pedestrian facilities in the short-to-medium term”. The council is responsible for the footpath hazards. 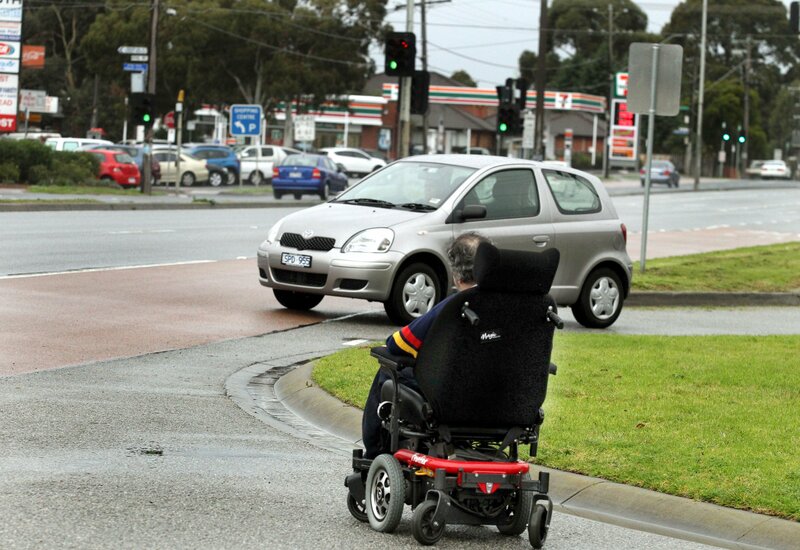 Engineering services director Bruce Rendell said the council would contact VicRoads about a new pedestrian crossing.